Ahead of Modi's visit, BJP workers would connect with people by listening to his monthly radio programme 'Mann Ki Baat' over tea targeting the 'chaiwala' meme. AHMEDABAD: In an apparent bid to counter the Congress' meme targeting Prime Minister Narendra Modi's 'chaiwala' past, the BJP workers in Gujarat would listen to his radio programme 'Mann ki Baat' while having tea with people across the state on November 26. Modi would be on a whirlwind tour of his home state for two days on November 27 and 29 during which he will address eight rallies in different parts of Saurashtra and south Gujarat, where polling will be held on December 9. 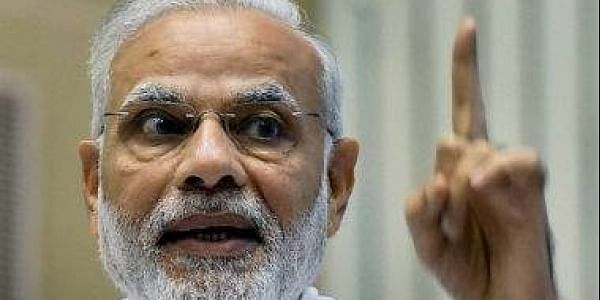 Ahead of Modi's visit, BJP workers would connect with people by listening to his monthly radio programme 'Mann Ki Baat' over tea, Gujarat BJP in-charge Bhupender Yadav said. "On the morning of November 26, we have organised 'Mann ki Baat, Chai ke Saath', wherein our workers would listen to the prime minister's radio programme at all the 50,000 (polling) booths while having tea with them. This exercise is aimed at establishing a direct dialogue with the people," Yadav told reporters. Referring to the Youth Congress' tweet mocking Modi two days back, the BJP leader said the opposition party always undermines the strength of the common man. "Our PM has earned respect not just in India, but across the globe. Congress leaders do not understand the strength of the common man and make fun of him. Since they are desperate, the Congress leaders are misusing social media," Yadav said. The official Twitter handle of the Youth Congress' online magazine "Yuva Desh" had kicked up a row by mocking Modi's "chaiwala" past and English speaking skills through a photograph. Gujarat Chief Minister Vijay Rupani had dubbed the tweet as "blatantly classist and anti-poor".